On the 17th of October 2017, we hosted a Graduation Fiesta for our 6Weeks2Startup course in Singapore. This was the second time we put together this event to gather our partners, supporters and community to celebrate 6 hard weeks of business-building for our graduating August class. One of the highlights of the event was the sharing session of Grace Clapham from The Change School. On stage, she shared her experience as a serial entrepreneur, TedX Speaker and founder of The Change School. Aside from Grace, the graduates themselves went up on stage to talk about their experience in the program and their respective businesses – spanning in many industries such as travel, architecture, technology and wellness. All Singapore-based graduates shared about their business including Novu.sg Founder Monica Maestre and our wonderful partner and venue sponsor Nim Sivakumaran from The Co.
At Startup2life, we provide resources and actionable programs to help solopreneurs, small business owners, and aspiring entrepreneurs build the business and the life they want. Our flagship course, the 6Weeks2Startup program, will validate your ideas with a proven methodology and a safe supportive community within just 6 weeks. 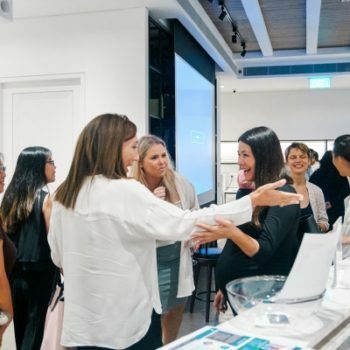 This is just the first of many events in Singapore, and we’re organizing the next few in Sydney, Melbourne, and London soon.